Come One, Come All – Mark your calendars and start cleaning out your home and garage of all those unwanted and unused items sitting around gathering dust. 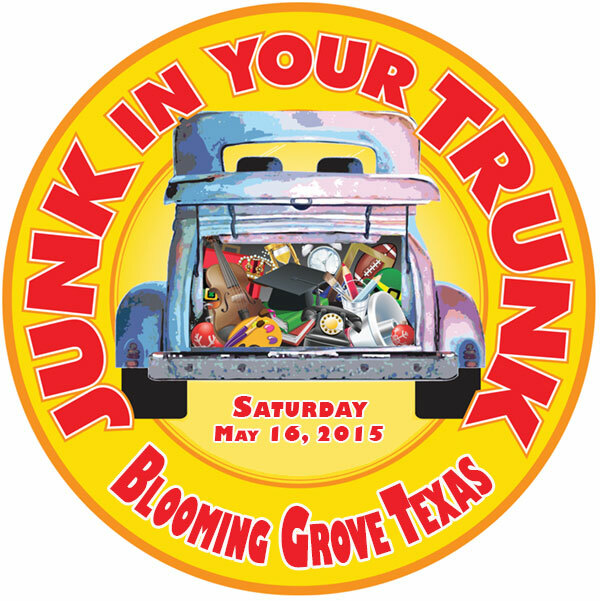 On Saturday, May 16th, starting at 9 AM, Downtown Blooming Grove will be the site of our 2nd annual community wide garage sale known as “Junk in the Trunk” This is a twist on the old garage sale. Load up your trunk and sell your “stuff” from the back of your vehicle, or set up along the sidewalks or the park. Space is available on a 1st come, 1st serve basis. Be sure to set up early and be ready to sell by 9. Bring anything to sell – garage sale items, crafts, plants, jewelry or junk. Food vendors are welcome as well. For more information, contact The Grapevine at 903-695-2847 or 903-879-2651.